A South Dakota-based telephone wagering and off-track betting company catering to high-end horseplayers seeking rebates has filed for Chapter 7 bankruptcy protection after losing a lengthy legal battle with the National Indian Gaming Commission and the Flandreau Santee Sioux Tribe, a former business partner. 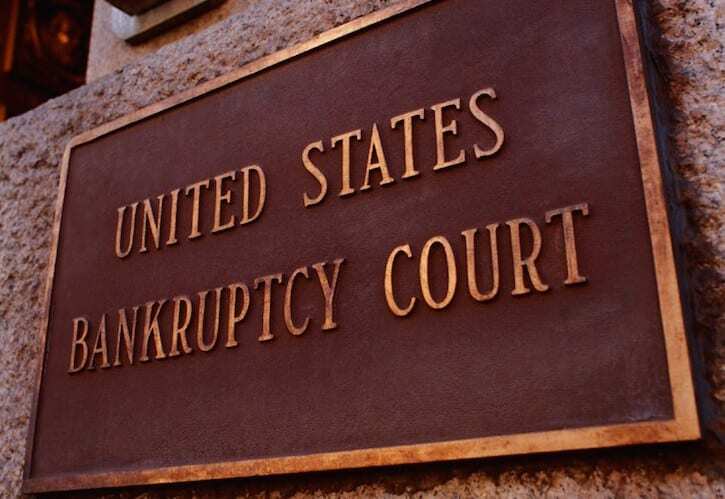 Bettor Racing, Inc., owned and operated by professional horseplayer Randy Gallo of Jupiter, Fla., voluntarily petitioned the U.S. Bankruptcy Court in the District of South Dakota, Southern Division, for protection under federal law. Listed among its $11,811,820.72 in liabilities is $6,117,977.10 Bettor Racing owes the Flandreau Santee Sioux Tribe and $4,522,722.96 owed to the National Indian Gaming Commission. A $902,668.33 bond is listed among Bettor Racing's $1,481,091.81 in assets. Gallo said that money should be used to pay off accounts of Bettor Racing's approximately 160 customers, some of whom are owed as much as $69,000. How the assets are disbursed will be up to bankruptcy trustee Lee Ann Pierce of Brookings, S.D. Bettor Racing ran afoul of the National Indian Gaming Commission over modifications made to its contract with the Santee Sioux tribe. The company's ADW business was based at the tribe's Royal River Casino in Flandreau, beginning in 2004, Gallo said, because the tribe could offer a better rate than the 4.5 percent Bettor Racing paid in South Dakota pari-mutuel taxes. When South Dakota reduced its tax rate to 0.25 percent, Gallo said, he informed Santee Sioux officials he was going to relocate the business outside of Royal River Casino. Tribe officials countered with a matching 0.25 percent offer and would modify the original contract, which had been approved by the National Indian Gaming Commission. Unbeknownst to Gallo, , he said, that modification and a second fee adjustment in 2008 resulting from higher signal fees paid to racetracks, was not approved by the National Indian Gaming Commission, according to a lawsuit filed by Bettor Racing against the commission. In 2011, after a compliance review, the National Indian Gaming Commission issued a Notice of Violation to both Bettor Racing and the Santee Sioux tribe for violating several sections of the Indian Gaming Regulatory Act. It fined Bettor Racing $5 million and said it owed the Santee Sioux $4,544,755. The commission said the Santee Sioux were not authorized to modify the original contract. Bettor Racing fought the sanctions but recently exhausted all of its legal remedies. The company has shut down operations. In the meantime, Gallo has been approved for a license by the South Dakota Commission on Gaming, with specific conditions, for a new entity called South Dakota OTB Inc. That business cannot begin operations until all customers of Bettor Racing have been paid off. Gallo, who declined to provide specifics on his company's rewards program, said Bettor Racing was the “gold standard since 2006” on rebates. At its height, Gallo said, Bettor Racing handled upwards of $171 million per year on horse racing bets. He said its annual pari-mutuel turnover is now approximately $80 million. This entry was posted in Horseplayers, NL Article and tagged betting rebates, Bettor Racing, Flandreau Santee Sioux Tribe, indian gaming, Indian Gaming Regulatory Act, national indian gaming commission, Randy Gallo, Royal River Casino, South Dakota Commission on Gaming, South Dakota OTB by Ray Paulick. Bookmark the permalink.